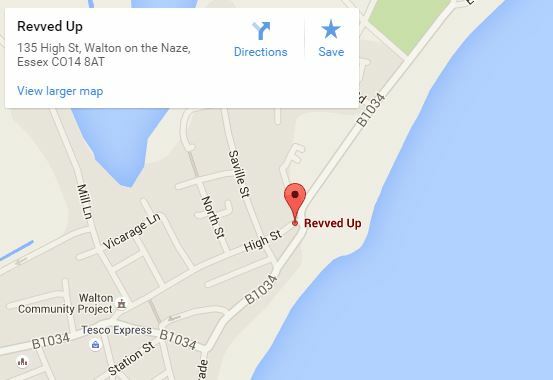 If you’re based in the Essex area and you’re planning a trip to the seaside then make sure you swing by Revved Up Tea Bar. 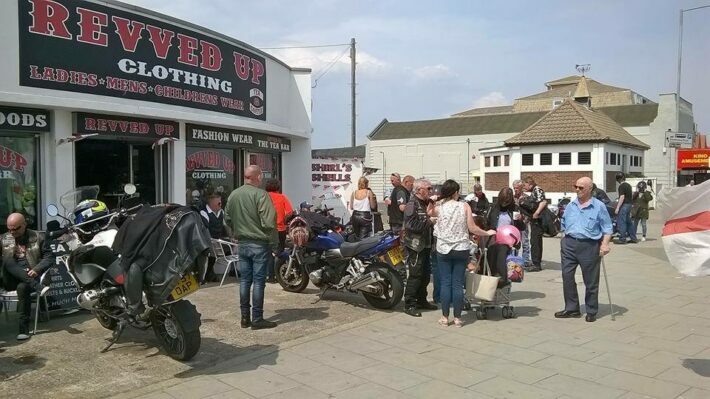 Overlooking the Essex coast, Revved Up is extremely popular with motorcyclists, especially those riding Harleys. It’s not an exclusive bar/club/café but you’ll often see a large number of customized bikers littering the large carpark out the front, but all kinds of bikers are welcome to Revved. Revved Up hold regular biker events and ride outs including the annual Chopper Fest in May and Ton Up Toy Run in December. Revved Up also has its own clothing store inside so you can purchase any biker gear that you may need. Open 7 days a week, with later opening times during the summer months, make sure you book in a trip to Revved Up Tea bar.